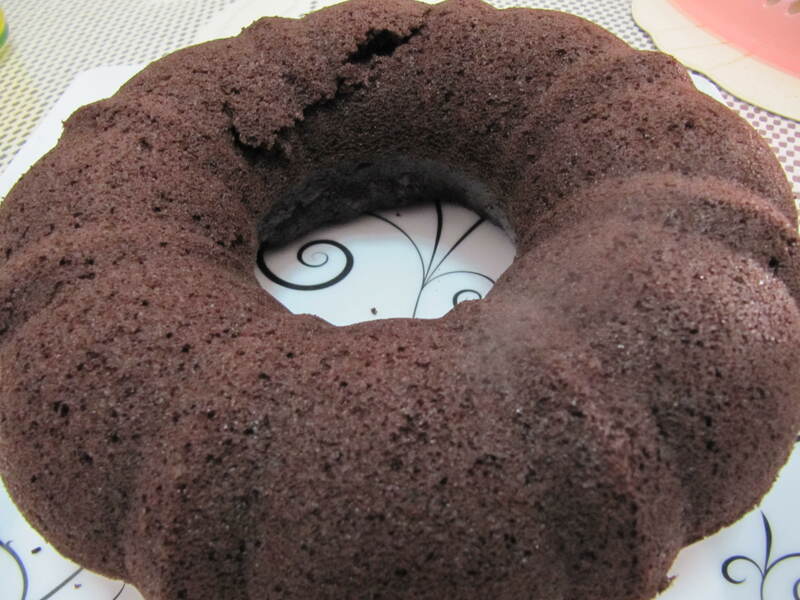 I've baked a chocolate cake for Frederick yesterday :-) It's my first time to bake after almost four years of not baking cake. I baked a butter type cake. It was not perfect but the taste is already ok, not too sweet, but it was also not as chocolatey "bitter" as I wanted it to be and the color is not as dark as I foresee it too be. According to my critics (my husband Frederick and Marco) the texture of my cake is dry. I agree, I checked my original recipe and the oil and water are not enough to achieve a moist cake. I also over baked my cake toasting it's outer skin, that's also one factor why it was "dry".I already made adjustments on the recipe below to make it a little moister. All purpose flour - 250 g.
Dutch processed cocoa powder - 80 g.
Baking Powder (Bake King) - 7 g.
Baking soda (Red man) - 5 g.
White Sugar - 330 g.
1) Add all dry ingredients together. Mix them together by sifting. 2) Heat the Fresh milk but do not let it boil. Add the Vanilla essence. 3) Add the fresh milk to the dry ingredient mixture. Beat with a wire whip. Add the egg then the oil and beat them until the batter is homogenous. 4) Preheat the oven to 250 degrees celsius. 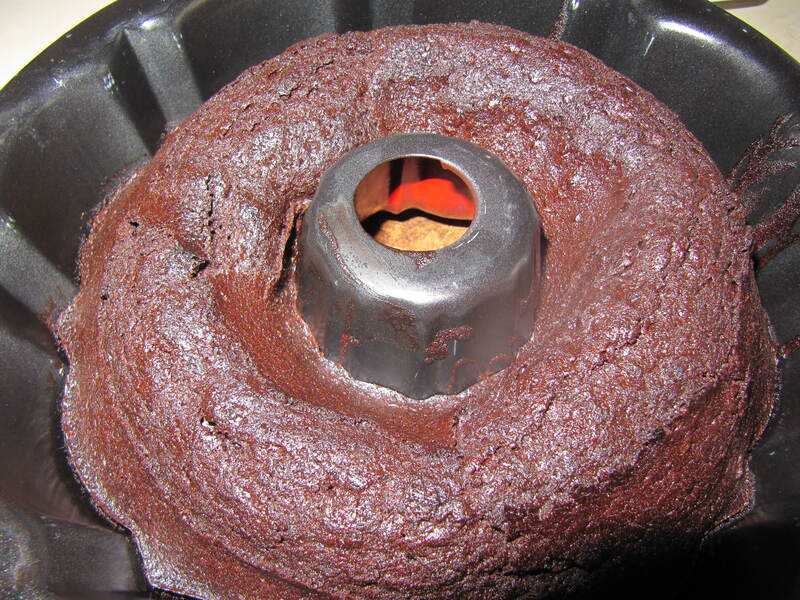 5) Bake cake for 30 minutes. To check if the cake is done, insert a wooden toothpick at the center of the cake, if the toothpick comes out clean or with a bit of dry crumbs, the cake is already baked. do not over-bake as I did or you'll end up with a crumbly cake.